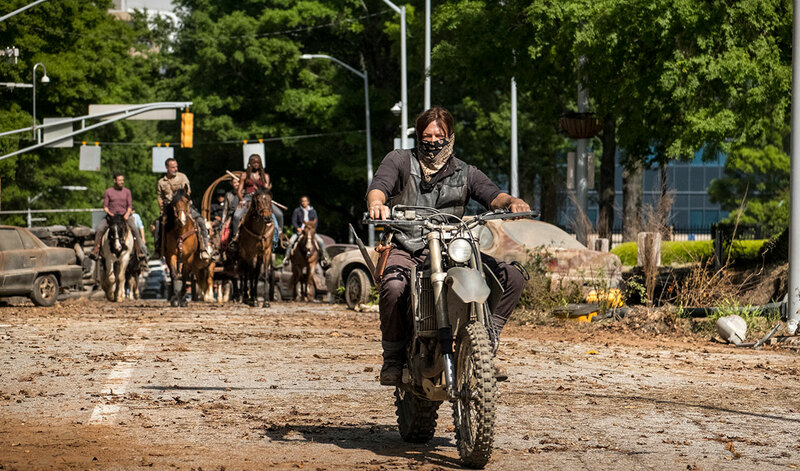 AMC today released new unit and behind-the-scenes photography from the highly-anticipated new season of The Walking Dead, premiering Sunday, October 7 at 9/8c. In addition, select cast and producers from the show will be at New York Comic Con for a panel, moderated by Chris Hardwick (Talking Dead), at the Theater at Madison Square Garden on Saturday, October 6th and 8/7c. Cast members including Andrew Lincoln, Norman Reedus, Danai Gurira, Melissa McBride and Jeffrey Dean Morgan join Executive Producer and Showrunner Angela Kang, Executive Producer and Chief Content Officer Scott M. Gimple, Executive Producers Robert Kirkman, Gale Anne Hurd and Dave Alpert and Special Effects Makeup Supervisor and Executive Producer Greg Nicotero to discuss the show’s exciting new chapter and what’s to come in Season 9. The Walking Dead returns Sunday, October 7 at 9/8c.